The American Institute of Architects recognized Saint Paul’s CHS Field for its excellence in architecture, naming it a recipient of their 2016 Honor Awards. 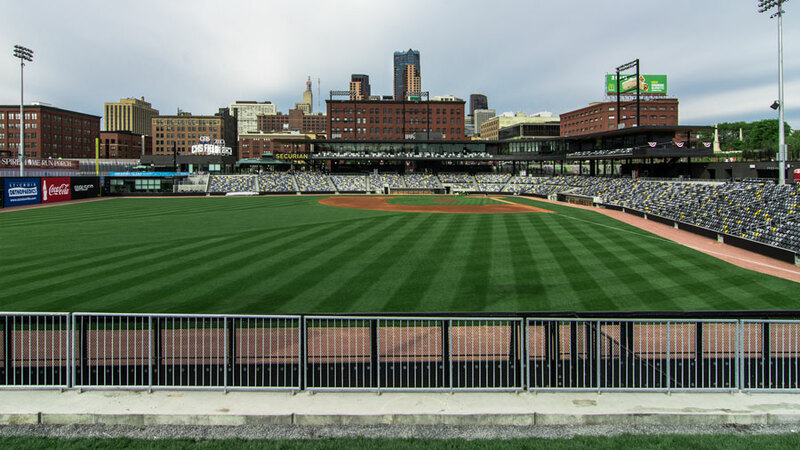 According to a press release by the Saint Paul Saints, this is the first time in AIA’s 67 years that a minor league ballpark has received one of the distinguished AIA Institute Honor Awards. MG McGrath is very proud to have worked with Snow Kreilich Architects and the Lowertown ballpark project team, furnishing and installing a custom-designed and engineered 40,000-square-foot panel system utilizing cedar wood soffits with a clear coat finish, as well as 10,000 square feet of 16 gauge weathering steel wall paneling in a custom blackened finish.